Welcome to our Membership Page! Join us at our annual conference! 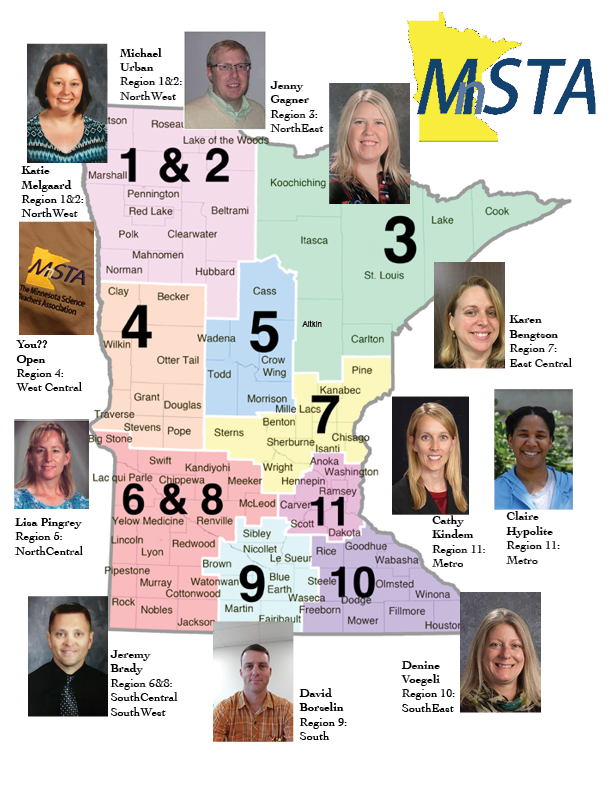 Current and renewing MnSTA members may use our 'Members Home' page to renew your membership and edit your profile settings anytime! A joint MnSTA/NSTA membership is also available via the NSTA website for $85: a $20 savings on the combined memberships. Please view these directions to learn how to access this opportunity! Our online system can generate an invoice for you to print and mail in...use the form above. Do you need a pdf membership form to fill out and mail the old-fashioned way? Here you are!